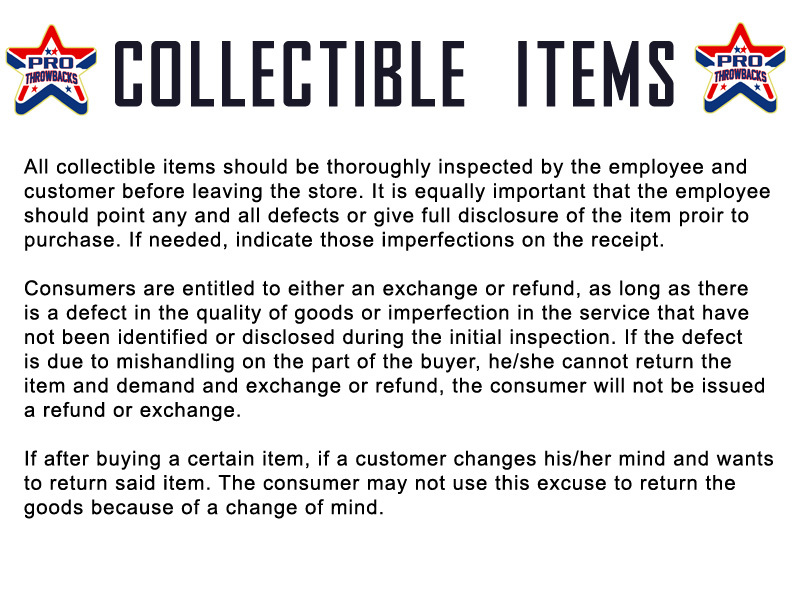 Most of our Store Policies are here at this link http://www.prothrowbacks.com/staff-programs-and-policies.html However, the following procedures have to do with returns and managerial requirements. When handling customer returns, also consider as if you were in the shoes of the customer. No returns on basketball and volleyballs [check with the customer before they leave that the ball is in good condition). No returns on rackets, except for Babolat badminton and tennis; the Babolat distributor carries a one year warranty on their strings. ~exchange with same item or another used golf club (not other products) All exchanges need office approval. ~no refund but exchanges are acceptable All exchanges need office approval. ~Affidavit that the customer did not break the item but was a defect from the club itself. All incidents shall be reported and reviewed by office personnel before an exchange is given. Just a reminder, we review all golf items before they come to the store and 99% are thoroughly cleaned and we would notice imperfection in the club before bringing to the store.